Buying a Home with Your Reverse Mortgage- It’s a Reality! Once you reach retirement and old age, you might find that your current home is not suitable for your age, and consider buying a new one. 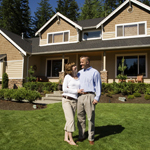 Being retired and on a fixed and probably fairly low income can interfere with your plan of buying a new home. Lenders look for good credit scores and incomes when giving out mortgages and most people over 62 simply cannot qualify. Fortunately, reverse mortgages, which have become very popular lately, will allow you not only to tap the equity in your home and receive a nice amount of much needed money, but to also buy a home. The United States Department of Housing and Urban Development (HUD) started to allow seniors over the age of 62 to use a reverse mortgage for the purchase of a home. The Home Equity Conversion Mortgage (HECM) for Purchase Loan is insured by the Federal Housing Administration and allows people who are 62 or older to use the equity from the sale of a previous home to purchase their next primary residence. Most people who use a HECM for Purchase Loan do it in order to find a home that would be better for someone who is old. The home that you live in might be too large, so cleaning it would be a burden, or hiring someone to do the cleaning may be too expensive. Bigger homes also mean larger utility bills, which can also be a financial burden. If your home is in an area that is too far from where your family and friends live, you might have another reason to move into a new home. Also, because you won’t have to make monthly mortgage payments, you get to enjoy your hard-earned savings without the stress of having to make a large payment each month. To qualify for a reverse mortgage, the youngest person on the title of the home must be 62 years or older. The home that you are purchasing must be your primary residence and must be occupied within 60 days of the loan closing date. Your new home purchase must be a single family home or a condo that is approved by the Federal Housing Administration (FHA). If the reverse mortgage loan doesn’t cover the price of the new home, the rest must be paid from qualifying sources, such as money from the sale of your previous home, or your savings. This type of loan can only be used for a home purchase, and cannot be used for the construction of a new home. However, the HECM for Purchase Loan can be used to buy a newly constructed home, as long as the home is approved for occupancy. Seniors who wish to take advantage of this type of loan can choose between the standard and the saver version, with either a fixed interest rate or an adjustable one. The saver version of the loan features lower upfront costs, but less money can be borrowed, so most people will choose the standard version of the HECM for Purchase Loan. Buying a new home after retirement may seem difficult or impossible, but it can be done with the help of a reverse mortgage. However, before taking this step, you must ask yourself why you want to do this and, if the reason is strong enough, make sure that you qualify and can afford to pay the difference between what you borrow and the price of the home from your own pocket. Reverse mortgages are a way for seniors over 62 to receive much needed income. Home owners over 62 can take out money from the equity in their home, without having to pay back the loan until they pass away or sell their home. The money from a reverse mortgage can be used for pretty much anything – traveling, medical bills, or home repairs. The sum of money that you receive from a reverse mortgage is not taxable and can be in the form of a lump of cash, monthly payments, or a line of credit, which can be used much like a credit card. After the borrower dies or sells the home, the reverse mortgage loan will have to be paid back with interest, usually by the borrower’s heirs. There are several factors that are taken into consideration by the lender when deciding how much you can borrow. The most important is the value of your home, followed by age, current mortgage rates, and lending limits, if applicable. The maximum limit for a reverse mortgage, also known as a Home Equity Conversion Mortgage (HECM), is $625,500. Private lending companies also offer reverse mortgages, which may have a higher maximum limit, but their loans will not be insured by the Federal Housing Administration (FHA). The general idea is that the older you are, the more your property is worth, and the lower the current interest rate is, the more you will be allowed to borrow. How much you can borrow also depends on how you wish to receive the payouts. You can choose to receive all the money at once, in a single large payment, which would be useful if you need money for medical bills or repairs. Alternatively, you can choose to receive the money as monthly payments, which is helpful if you only need money for month to month expenses, such as bills. Also, you can choose to use the money from the reverse mortgage as a credit line, mostly useful when you have unexpected expenses. If you choose to receive the whole amount at once, the interest on the loan will increase quicker than the other choices. If you choose to receive monthly payments, you will keep receiving them until you die, even if the total amount will be higher than the value of your home. When choosing to use the money as a line of credit, the unused funds will increase annually, meaning that you will gain access to larger funds as the years go by. A reverse mortgage is a blessing for seniors who need money and don’t have a good source of income. The maximum limits are high enough to accommodate most senior borrowers, and they won’t have any trouble borrowing the money because there are no credit requirements and monthly mortgage payments due. The amount that you will be able to borrow is related to your age, home value, interest rate, and payout type, but you can quickly get an estimate by using an online reverse mortgage calculator or by simply consulting with your reverse mortgage lender.